does anyone know the origins of the two piece springs fitted to my bike. I have progressive units on order from motorworks. good luck with the new stuff . fitting similar soon on the project bike . I looked on the OEM catalogue but could only see single piece springs . @audibob wrote: I looked on the OEM catalogue but could only see single piece springs . The early RS models had sport forks with similar assemblies. 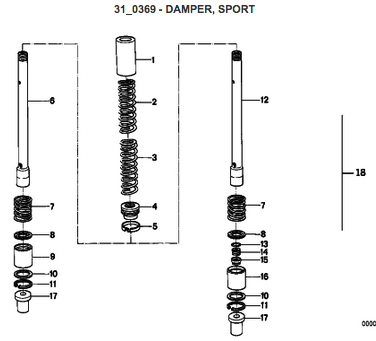 This diagram is from the MAX BMW fiche. 'S' forks or sport forks were a dealer-installed option for K100 and other K75 from about '87 onward, marked by an S stamped and visible on the top plug in the end of the fork tube. They came as standard equipment on the K75S after a two years of production. I fit them to my '87 RS and they are quite firm. 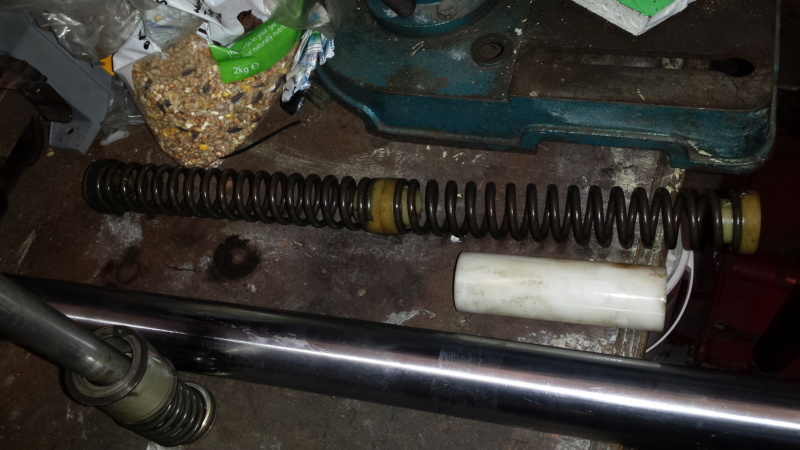 These springs are not particularly effective in non-'S' forks. Notice in the provided photo how a suitably long piece of PVC was used for preload, because they are far too short to do any good. They likely would not produce excessive dive. I would research just what brand forks are on this bike and re-fill them with the prescribed viscosity and level of fork oil. Too little can produce a sloppy action. Too much can be harsh. Look at the inside of each fork leg for marks indicating a brand, like F&S, etc. A picture is worth many (don't know about a thousand) words. 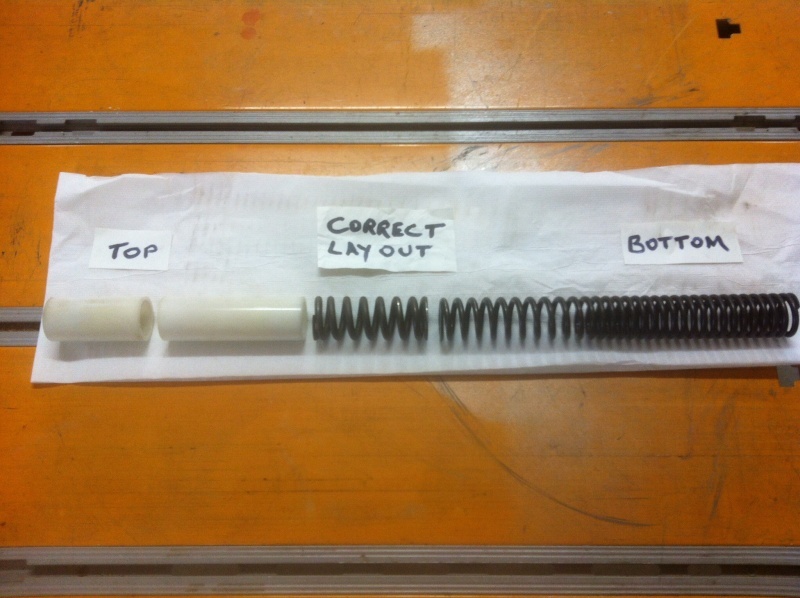 Here is the OEM spacer & spring arrangement from "S" forks that TWB spoke of in his post. From my K75. I cannot see any "S" markings, and they are brembo forks. My two piece spring set differs from the set in your foto Gaz. 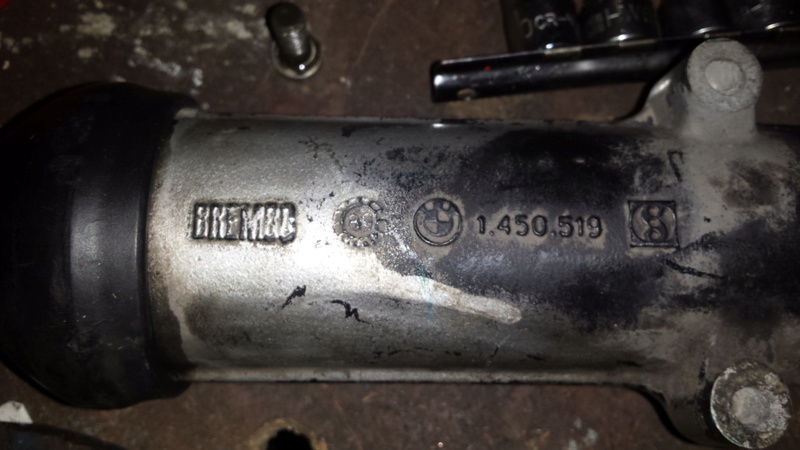 The guide ring, part number 31421450517 seems a loose fit on the piston is this normal ? This is my first time I have done fork springs etc, so I want to get it right first time. This is where you find the "S" on the so called sport forks. No "S" marking on my forks Gaz.. There must have been a reason to someone when they fitted the sports springs. I am finding it difficult to compress the new springs enough to fit the circlip. My current springs and spacer measure 51cm with the spring retainers fitted. thinner at the base than mine . retainers, and still found it easy to compress the spring and fit the circlip ? If I had looked harder, I would have found the retainers on motorworks. Hope I can get that circlip in now. 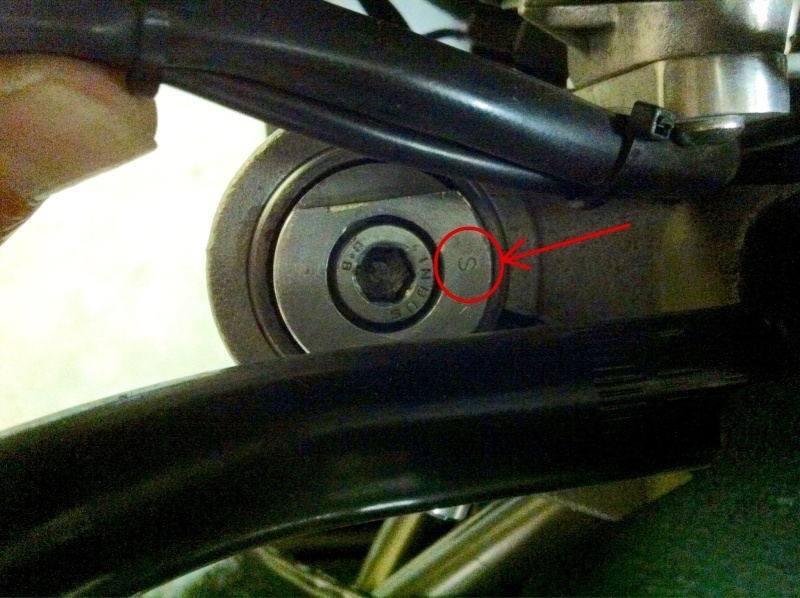 What a difference to how the bike handles with new springs ( progressive from Motorworks ). As per previous posts about fitting them I did not use the retainers . I also found out why she used to wander sometimes when leaning around a left hand bend. The left fork had very little oil in it, the right fork was okay. Admittedly I have not serviced the forks for three years, lesson learnt. The firmer action under braking is nicer, I will fit a tie wrap on the legs, and measure the fork travel.